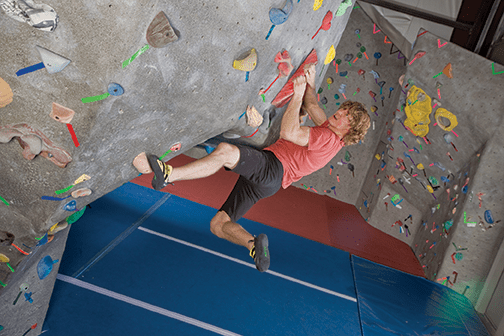 Local rock climbers know the Rogue Rock Gym as the Rogue Valley’s premier indoor climbing facility and a fabulous place to get in shape and have fun with climbers of all types. 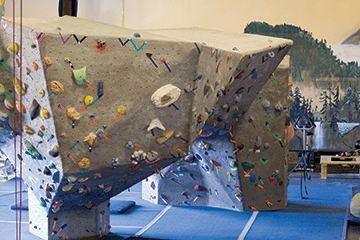 Providing professional instruction, group events and parties, kids climbing programs, fitness equipment and more, the Rogue Rock Gym is a great place to connect with other climbers, make new friends and long lasting climbing partnerships. 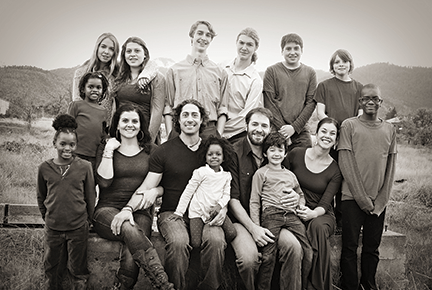 Now in it’s 10th year of business, owner Matt Lambert reports that the Rogue Rock Gym has experienced steady growth over the past decade helping to cultivate a new crop of climbers of all ages and abilities. 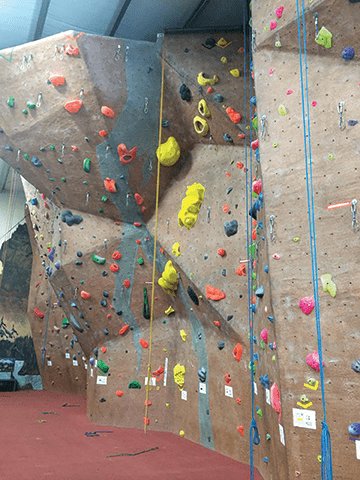 We met with Matt recently to hear how things have been going at the Rogue Rock Gym and to learn about the latest opportunities for Rogue Valley residents to get fit and have fun while scaling rock walls both indoors and out. Thanks for taking the time to talk with us Matt. How did you originally get interested in rock climbing? I was first exposed to climbing in the early 90s with the Boy Scouts. Our leader was an experienced mountaineer and took us rappelling off granite cliffs in the wilderness of the Sierra Nevada Mountains. I was immediately hooked on climbing as a fun and exciting way to experience nature! 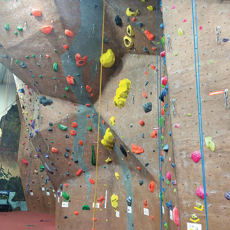 Throughout high school I lived in the Chicago area where there is a lack of mountains and cliffs, so I developed my passion for climbing in indoor gyms. I never really fit in with traditional school sports but I would spend countless hours climbing and meeting friends to climb with at gyms. Eventually I started volunteering and helping out in my local gym and have been involved with gym operations since then. I learned to climb safely indoors and then took my experience to the real cliffs. In the many areas of the country that I’ve lived in the climbing gym has always been my ‘basecamp,’ all of my best friends and best adventures in life have come out of the climbing gym community. Climbing has taken me on adventures around the world from the Himalayas, to Patagonia and continues to be an activity that motivates and inspires me. Rogue Rock Gym is truly one of a kind here in the Rogue Valley. You must be busy! We are seeing new folks in the gym on a daily basis and it’s quite exciting to see the sport of rock climbing continue to grow. Many people are first introduced to climbing on small walls that you see at places like the county fair, the YMCA, or on college campuses. If they enjoy the experience they will look up the local rock climbing gym and come check us out. 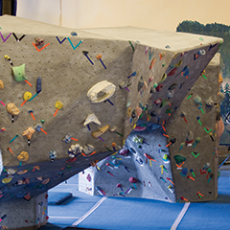 Most everyone who walks through our doors for the first time are surprised and impressed by the size of our gym and amount of varied climbing terrain from very easy to super difficult. 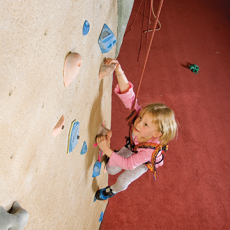 We really offer something for everyone, from a 2 year old child to professional climbers who compete at a national level…and everyone in between. Rock climbing is gaining popularity and acceptance within the mainstream public as a safe and fun activity. Our goal is to make climbing accessible and fun for everyone, and offer the opportunity for anyone to get involved in rock climbing. 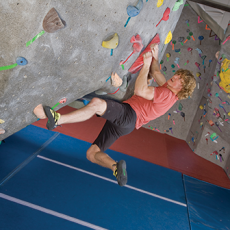 Talk to us about the culture of climbing both indoors and out. The thing that distinguishes rock climbing from a typical health club is the social aspect of the sport. I built Rogue Rock Gym with the goal of providing a space for the local climbing community in Southern Oregon to come together and get to know one another. The sense of community that has developed over the last decade in our gym has exceeded my expectations! Friends meet up to climb together on a regular basis, and the atmosphere in the gym is something quite like a “Cheers” episode where everybody knows your name. I have climbed in gyms in cities across the country but I have never experienced a more welcoming climbing community then in the Rogue Valley. We have people climbing in the gym for the first time on a daily basis and our regular members are always eager to help them out, show them fun climbs to try and offer them tips on the wall. Often people meet new groups of friends in the gym and then plan outdoor climbing adventures. I often get compliments from folks who climb in gyms in other cities saying that the Rogue Rock Gym is their favorite place to climb because of our relaxed and friendly atmosphere. Comments like that make me really happy. 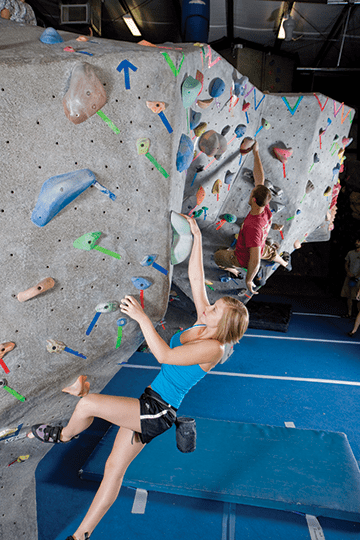 What kinds of people visit Rogue Rock Gym? We have a few different types of clients at the Rogue Rock Gym. There are the climbers who are addicted to the sport and will seek out the best gym to climb in wherever they are located. We have active folks who may be new to climbing but are looking for a more fun alternative to the regular health club routine. 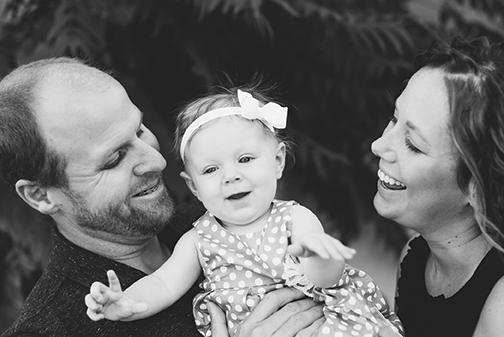 And we have lots of families with kids who come to rock climb as an alternative to more traditional activities, where parents can be involved with their kids while they gain strength and confidence as they scale our walls. 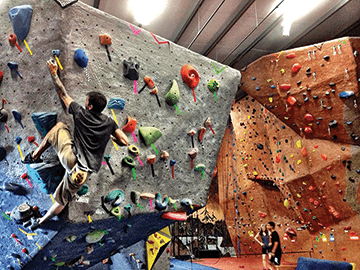 And how does the Rogue Rock Gym differ from a typical fitness center? First, rock climbing is a true full-body workout, and it’s fun so you don’t even realize what a great work out you are getting until the next morning and realize how sore muscles you never knew you had can get! Climbing is great for toning muscle groups in your arms, shoulders, back, and especially your core. Second, there is a whole mental aspect to rock climbing. We set ‘routes’ or paths up the wall with climbing holds that act like puzzles which challenge your body and your brain while you climb. You have to figure out a specific sequence of movements to complete the climb successfully and it may take many attempts over the course of months to put it all together to complete a climb. We are constantly changing and inventing new routes to keep our members interested. This is one thing that makes climbing so addicting for people, you go home thinking about the climbs you are working on, you’ll even find yourself dreaming of climbing sequences! It’s quite a bit different then running on a treadmill for an hour in front of a television or repetitively lifting weights. What barriers do you find keep people from trying it out for the first time? I think a lot of people may be interested in climbing, but perhaps they don’t know anyone who climbs, or maybe they are intimidated to be a beginner in a gym full of more experienced climbers. When people take the chance to climb on their own they often are surprised to find that the best climbers in the gym are equally psyched to support the new climbers and help them learn new skills. At RRG we try to make all newcomers feel welcome, help them meet new friends to climb with, and teach them the fundamentals so they can climb safely with their friends and family. Another common barrier is that people often think they need to be really strong to become a rock climber. This is far from the truth because we build rock climbs for all skill levels, all body shapes and sizes. Your fingers will feel weak the first time, but if you keep at it your grip strength develops quickly. 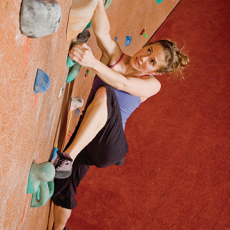 Regardless of your fitness level, if you start rock climbing you will lose weight and tone your muscles! Also, many people think they need to be a member to climb at the gym, but we offer single day visit passes for anyone to climb! Introduce us to your excellent staff, Matt. I am extremely lucky to have an amazing staff of passionate climbers who help me operate the Rogue Rock Gym, I couldn’t do it without them. I first hired our current Gym Manager, James over 9 years ago when he was just out of high school because I could tell he was deeply passionate about the sport and our gym. 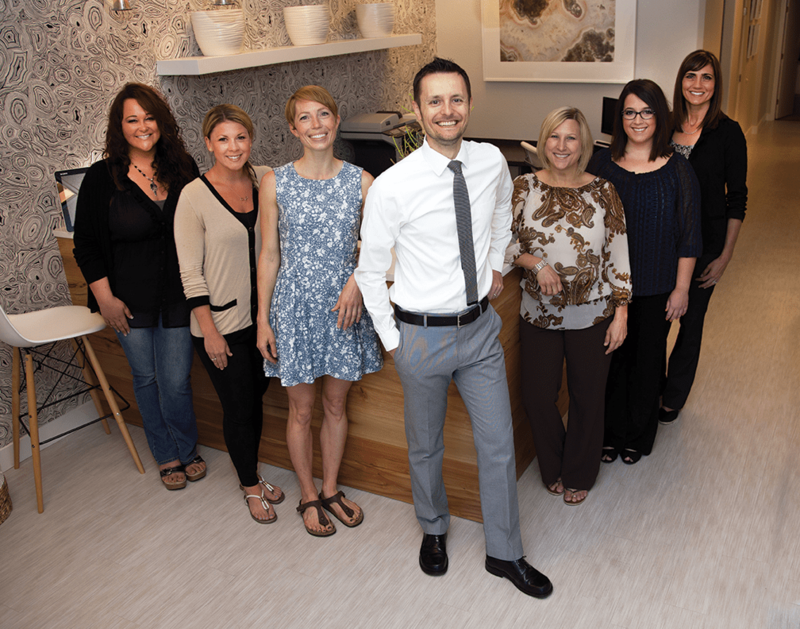 He remains just as psyched to this day and sets the benchmark for great customer service that our entire staff strives to achieve. Gaur, an Ashland Native is our head route setter and team coach, he’s a talented climber who is a great role model for the kids. Peter is a sponsored professional climber who competes…and wins at national level climbing competitions around the country. 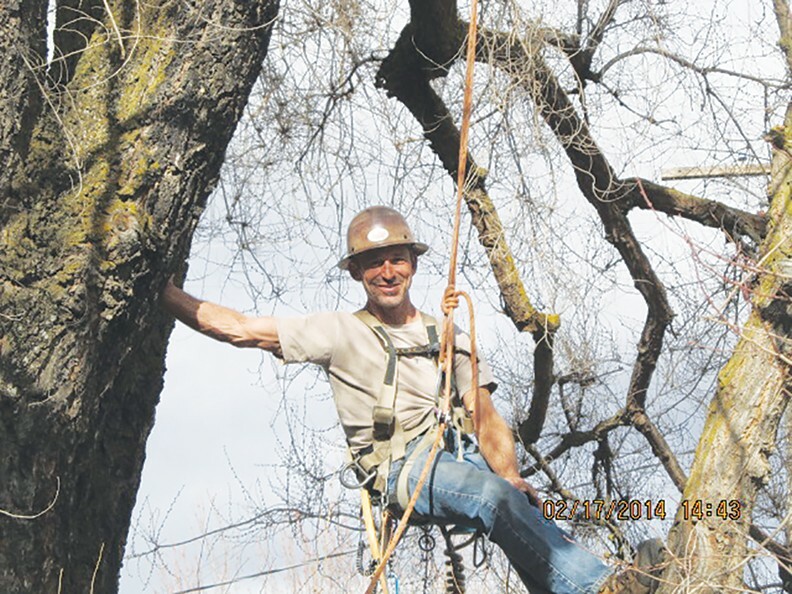 We use his talent specifically for setting fun and creative climbing routes for our visitors to test themselves on. LLupus, an SOU graduate in Outdoor Education, and Zenas are our youth climbing club instructors and both jacks of all trades around the gym. Between us we have over 30 years of climbing experience and are all skilled instructors who can teach basic to advanced climb skills. You must have lots of success stories to share. Tell us about some of your most satisfied climbers. We have worked with people and groups of all kids at the gym, and have seen so many people overcome their fears and gain satisfaction and self-confidence from conquering our walls. One group that stands out is the Southern Oregon Special Education Service District who annually brings two groups of 40-50 kids to the gym. One group is legally blind, and the other legally deaf. These kids get so much out of climbing our walls it’s truly incredible to watch, to see their beaming smiles when they make it to the top, just glowing with pride to know they achieve success in something like rock climbing. I’d say working with those kinds of groups of kids are the most satisfying experiences I have had as the owner of the gym. You offer more than just climbing instruction classes as well. 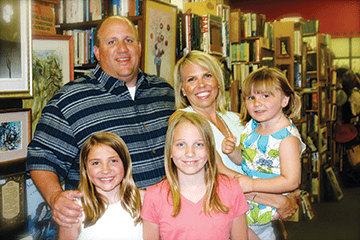 Tell us about some of the fun programs you offer for kids and adults. 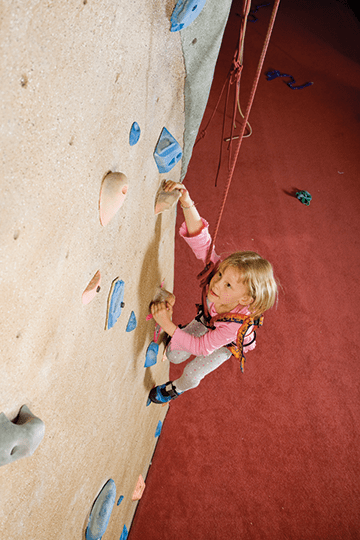 We have several different opportunities for kids to get involved with climbing, we offer a private one-on-one lesson with an instructor called “Climb Time,” where our staff coaches the climber up different climbs on the wall for an hour and a half ($40). We have a Junior Climbing Program which meets Monday, Wednesday and- Friday after school from 4:30-6pm. And for kids who are more serious about climbing competitively we have a Climbing Team that meets on Tuesdays and Thursdays. We both host competitions at the gym and travel to other gyms across the state to compete with their climbing teams; it’s a lot of fun! What’s the difference between bouldering and rope climbing? 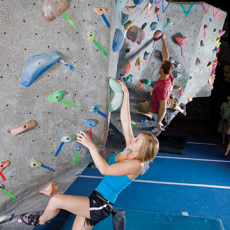 Bouldering is essentially climbing up to a certain height in the gym without the use of ropes. If you fall you land on our padded flooring. 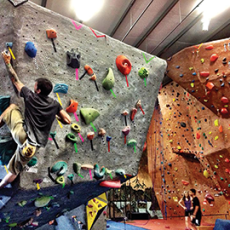 About half of our gym is dedicated just to bouldering terrain and routes. The nice thing about bouldering is that anyone can do it without any training, experience, extra equipment or a climbing partner. 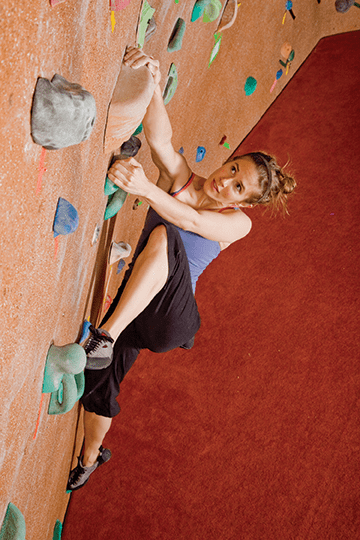 Bouldering routes can be technical and challenging requiring specific climbing technique, and we offer technique classes to help people improve and climb more difficult routes. Rope climbing is for the climber who likes to build endurance by climbing longer routes to the top of the tall walls. It’s also for the climber who doesn’t like to land on the floor when you fall because you climb with a partner who catches you with a rope! Rope climbing can be done very safely with the proper training and we offer a Basic Ropes Class on Wednesday and Friday nights to learn this skill. The class also includes a free week long membership to the gym to practice the skills we teach you and help you decide if climbing is something you’d like to do regularly. How safe is indoor rock climbing, Matt? Well, the first thing you do when you enter the gym is sign a Liability Waiver form that states climbing is dangerous! It is true that climbing is an inherently risky activity, but we operate Rogue Rock Gym in accordance with the best standards set by the industries national governing body, The Climbing Wall Association. We teach people to climb safely in our gym and therefore we have an excellent safety record with very few serious injuries. 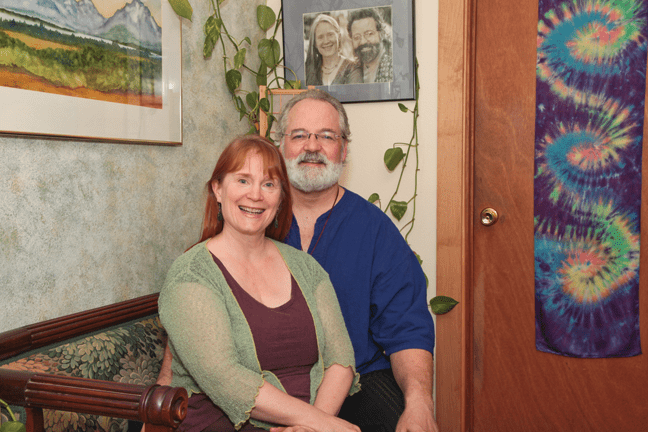 Are you offering any new classes or specials in the New Year? In January we offer a membership special where you receive the month of February FREE if you sign up for our Electronic Fund Transfer membership. The cost is $45 for Adults or $35 for Students/youth under 18. 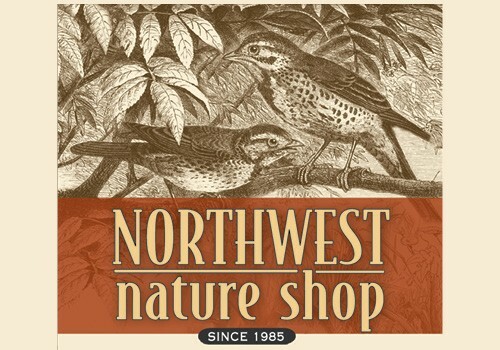 I know we’re still in the throes of winter, but I hear your summer camps fill up early. 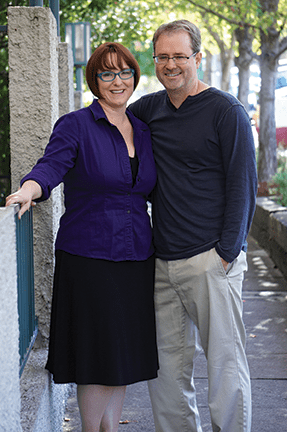 What should readers do to save a spot? Yes we offer Summer Camps for kids ages 7-14 every year! We offer 5 separate week long camps between June and August. The camp runs from 9am-12pm Monday- Friday and the kids have all kids of fun climbing, playing games, and learning the ropes with our instructors. Space for each camp is limited to 15 climbers and last summer we filled every single spot early on. We will post this years Camp schedule on our website in early March so reserve a space for your kids early!